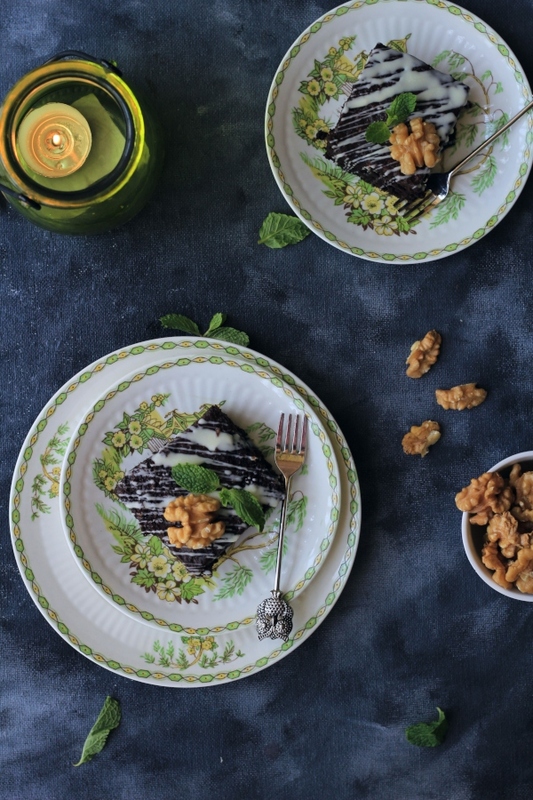 It should make perfect sense for those ingredients to share a bowl. Many summers ago, when I was still a youngling, I couldn't for the life of me figure out why the women in my house oooooohed and aaaahhed over a bowl of uncooked green leaves and then some. Every weekend during summer break my sweet parents would diligently take me for a kiddie flick, which would then posolutely be followed by a trip to a little cake shop across the theater that even housed a long salad bar. My mother would then mix and match ingredients and dressings, and her eyes would light up like a child in a candy store. Years later, as youth passed and responsibilities set in, I the self confessed salad loather had a change of heart. Greens stated calling out my name, cold cuts beckoned me from their deep frozen depths and fresh uncooked produce became my new go to comfort food. 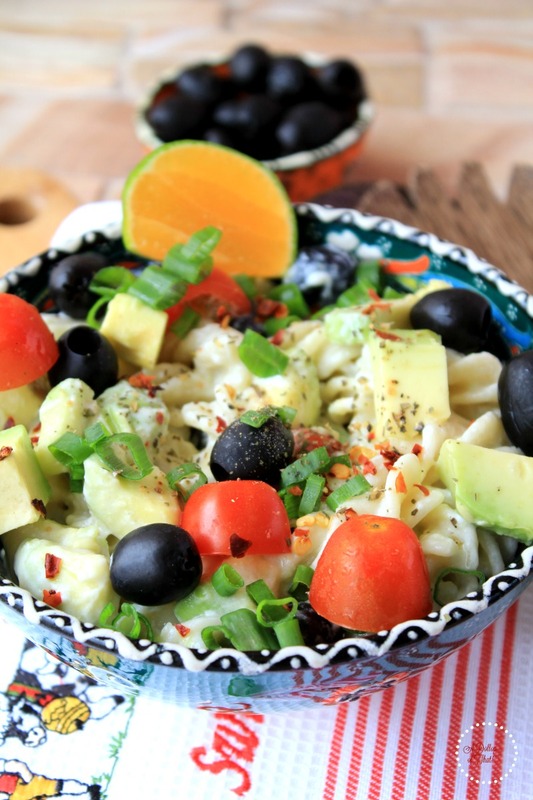 Combining this new found love for salads and deep grained love for olives I bring to you this classic Pasta Salad with Garlic Dip Dressing, it promises satisfaction in every bite. 1 tbsps chopped greens of a green onion. Boil the pasta, with a pinch of salt, once done rinse, wash with cool tap water and set aside. 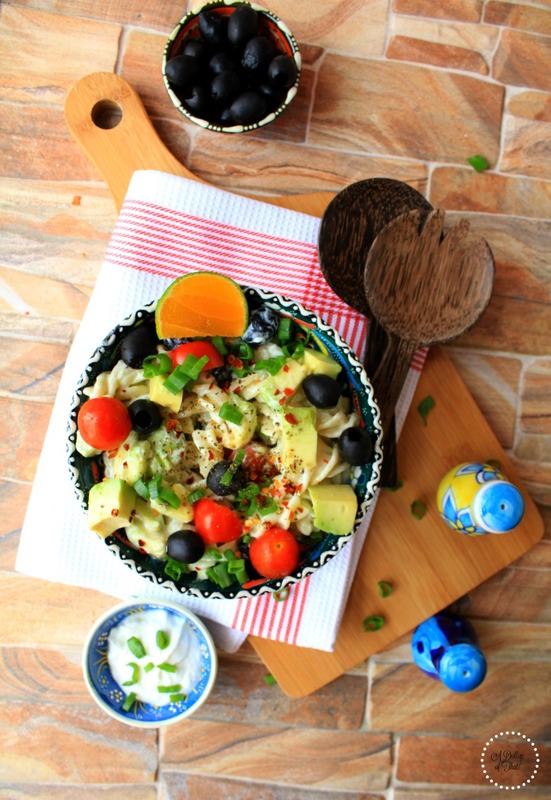 Next in a large bowl toss the prepared pasta along with olives, tomatoes and the avocado. Add in the Herbed Garlic Dip dressing and mix well. Sprinkle with pepper powder, greens of a green onion and some chilly flakes for a pungent pop. 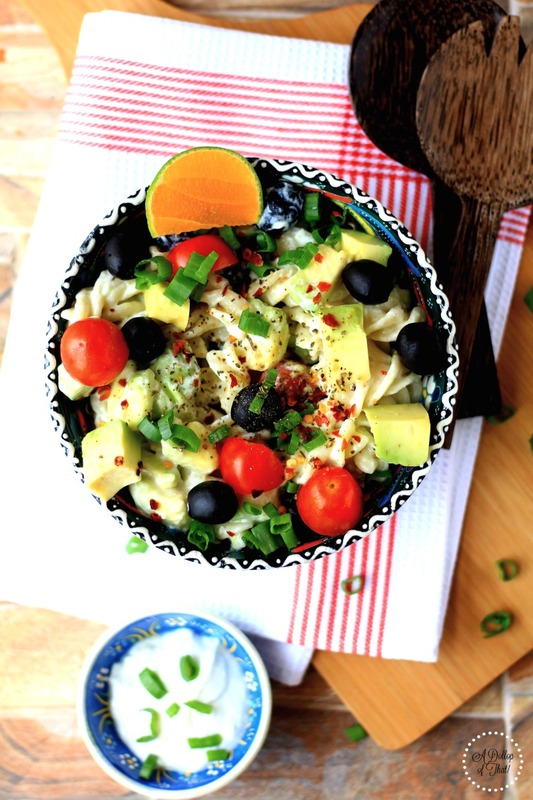 Scoop out into a pretty salad bowl and devour!